Malware virus or malware is a type of malicious software that is inserted into a computer or network without user consent. Their primary purpose is to cause damage to that computer or other computers or to subvert those computers for uses other than those intended by their owners. In recent years there has been a surge in the use of malware viruses to attack organizations for the purpose of collecting sensitive business information, stealing money and user identities or even denying users access to essential electronic resources. Malware viruses consist of harmful codes which can self-replicate and are intended to infect and damage legitimate software applications. The majority of malware viruses are attached to an executable file, which means that the virus can remain inactive on the host computer until a user runs or opens it. Once the malware virus gets opened or installed, it becomes activated and starts to spread itself to other programs on the host computer. Further damage to the host system often follows it, for example, the deletion of critical system files within the operating system, and the use of email programmes to facilitate distribution of virus copies to other computers int he network. 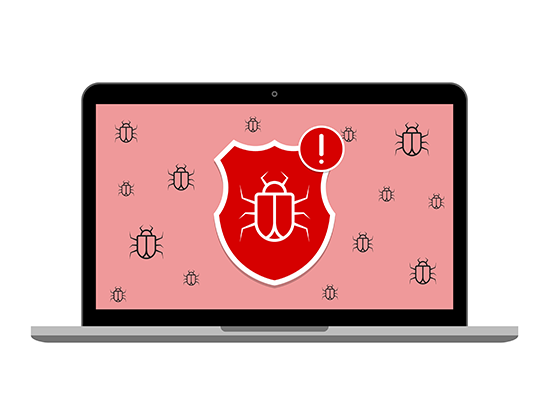 Worms are a type of malware with a similar theme, the primary difference between the virus and a worm is that the latter can operate as a stand-alone program and transmit itself across a network directly. The evolution of malware variants represents an ongoing arms race between cybercriminals, security experts. New and powerful malware variants are released by hackers every day also new techniques are used to evade existing security measures. Whether you are an IT expert, business owner, or individual user, protecting your computer and your organization against these new malware variants requires everyone to become more vigilant and increase their understanding of malware. You can reduce the potential avenues for attack by applying a range of mitigations, such limiting user privileges, removing unused software applications, installing patches/updates on a regular basis, enabling suitable security software like Comodo Advanced Endpoint Protection and ensuring your staff knows what to look for at times of cyber attacks. The battle for IT security will never end, but a good security software will give every organization the best chance of staying safe in the digital age. Comodo Advanced Endpoint Protection (AEP) offers the most comprehensive array of tools to identify known good and contain known bad files. Comodo AEP's auto-containment technology eliminates 100% of false positives, and false negatives and delivers 100% verdict for all unknown malware. If you are interested in Comodo Advanced Endpoint Protection, contact us at EnterpriseSolutions@comodo.com or +1 888-256-2608.